A scramble by developers to build up their land banks amid better buying sentiment is likely to spark a fierce contest for two private residential sites launched for sale by public tender yesterday, analysts said. The two 99-year leasehold plots could yield 1,160 private homes. One site offered by the Urban Redevelopment Authority (URA) is in Lorong 1 Realty Park in Hougang and earmarked for landed housing. The other in Stirling Road in Queenstown is for a large condominium and was launched after being triggered for sale last week. "I expect competitive bidding for these two sites... Land-banking would probably be more urgent for developers who have not won any sites in the past two years, and/or have progressively sold their current stock," noted Ms Tricia Song, research head at Colliers International Singapore. 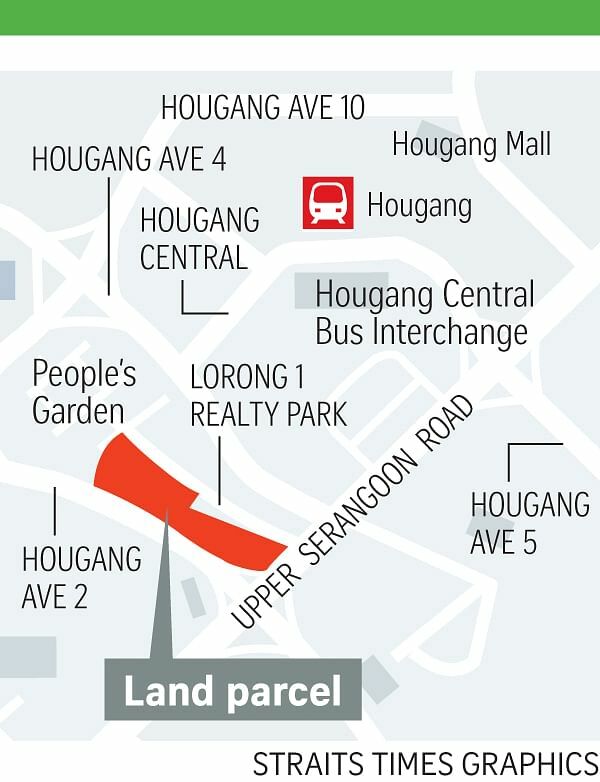 The Lorong 1 Realty Park plot spans nearly 13,400 sq m and is within an established residential area in Hougang. The URA said about 50 landed homes of up to three storeys could be built there. Mr Nicholas Mak, head of research at SLP International Property Consultants, expects the site to be "fiercely fought over". "There is a significant number of small and medium-sized developers and contractor-developers who are hungry for suitable development sites," he added. Its popularity rests on the fairly small plot size and the dearth of sites for landed development. The Hougang site has been released for sale via the confirmed list of the Government Land Sales (GLS) Programme for this half year. 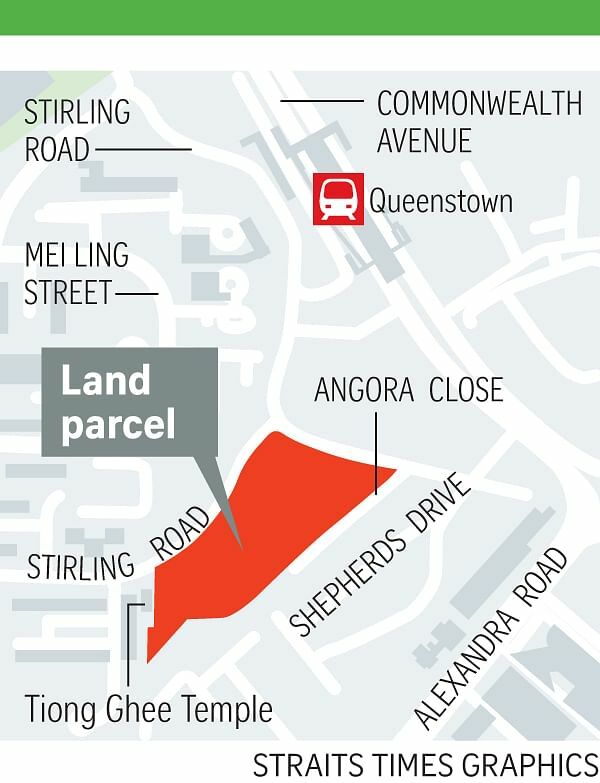 Analysts expect the Queenstown site to see slightly more restrained bidding - eight to 12 bids - despite being in a popular mature estate and near the MRT station. "The project with an estimated dwelling unit of 1,110 is huge and could deter some developers from bidding for it due to the ABSD (additional buyer's stamp duty) remission deadline of five years," said Ms Christine Li, research director at Cushman & Wakefield. Under the ABSD rules, developers must build and sell all units in residential projects within five years of buying the site, or have to pay a 15 per cent levy on the site's purchase price plus 5 per cent interest. Given the large project size, CBRE Research believes developers may form joint ventures to take on the site to spread development risk. Ms Song estimates that the top bid could come in at $811 million to $907 million ($850-$950 psf per plot ratio), while Ms Li puts it at $860 million to $950 million ($900-$1,000 psf ppr). The 21,109.5 sq m Stirling Road plot has been on the GLS reserve list since March 2010. It was triggered last week by an application from a developer who committed to bid at least $685.25 million - a figure deemed acceptable to the Government.